What’s the first thing that comes to mind when I say “Valentine’s Day”? Was it chocolate? Roses? Both? When I think of Valentine’s Day I picture heart-shaped boxes of chocolate, red roses, and white-draped tables in a dimly lit restaurant. The funny thing is that I don’t want any of those things for Valentine’s Day except chocolate which is a winner with me any day, I’ve been conditioned to relate those things to Valentine’s Day. One of my goals for my child care program is to help the children develop good eating habits and a healthy attitude toward food, which can be a real challenge during holidays because many holiday traditions include cookies, candy, and other sugary treats. Case in point: When I say “Easter” do you immediately picture a big chocolate bunny? But completely cutting out treats is no fun, so I go for moderation and balance between healthy and not-so healthy foods. Luckily the parents in my program are on the same page and always come up with holiday treats that are on the healthy side, creative, AND fun. 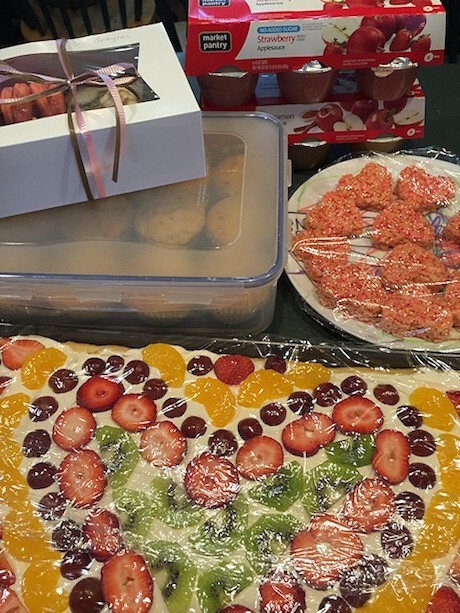 Last year the parents sent in some amazing Valentine’s Day treats: Strawberry and Cinnamon applesauce, Heart-shaped macarons, Cranberry muffins, Valentine Rice Krispie Treats, and Heart-shaped fruit pizza. We feasted all day! 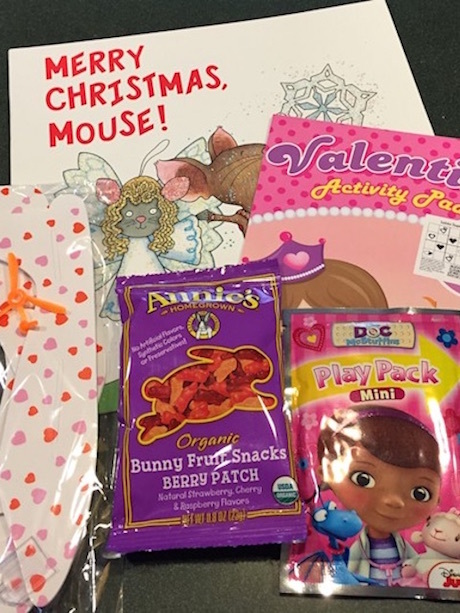 The Valentine bags I gave to the children included a package of Annie’s fruit snacks, but the rest were toys and trinkets. 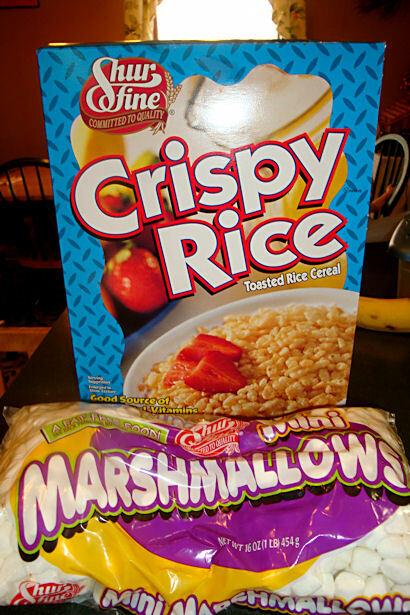 As much as children love candy I think they prefer things that they can play with over and over. And I feel better about giving them books and things to play with rather than candy, so it’s a win-win situation for everyone! 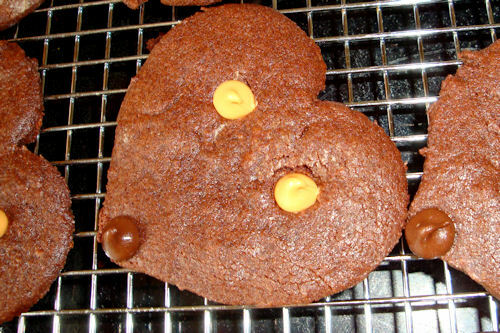 What kind of healthy Valentine’s Day treats do you like?